Grid penalties, DRS on chopping block? 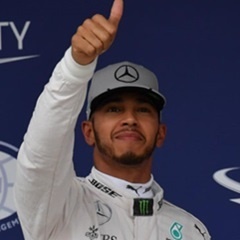 Monza - Lewis Hamilton revealed on Thursday that he is happy and confident he will stay with Mercedes beyond 2018 and is in no rush to sign a new contract. The 32-year-old Briton, who is seven points behind Sebastian Vettel in this year's title race ahead of this weekend's Italian Grand Prix, said the German's decision to sign a new three-year deal with Ferrari had no direct bearing on his own future. "It doesn't really change much to me because I planned to extend with the team, which we will do at some point in the second half of the season, or towards the end of the year," he said. "There's no rush. I still have another year. So, we have a lot of time. I think last contract we went all the way into the mid-part of the season." He added that he was not interested in moving to any other team. "I know the team is fully committed to me and I've never picked up the phone and spoken to any of those other teams. "So I made that very clear to the guys. I'm not trying to weigh up my options and if I was I'd call Toto and say I'm going to (do) due diligence and see what options there are for me. Currently I have no plans to do that." Hamilton added that he felt it was good that Vettel had committed to staying with Ferrari. "That piece of the puzzle is now in place. So it makes my decision moving forward a lot easier." He said his relationship with Wolff was very open and that he team boss always told him who had contacted the team in relation to drives. "It's kind of interesting sometimes, to hear who calls and who's tried either to take my seat or take the seat next door to me. "To see the moves that happen following those calls - such as Sebastian signing for Ferrari - is interesting. I don't know if everyone expected him to sign a three-year deal!" Hamilton can take over as championship leader if he wins Sunday's race.